Instances of consumers being seriously injured or killed by dangerous or deadly products have reached epidemic proportions in this country. The number of consumer product recalls has skyrocketed 60 percent in less than a decade. 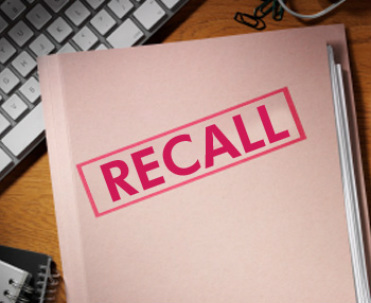 U.S. companies report more than 400 recalled products annually, which is the second-worst record in the world. Additionally, the United States is the world's largest importer of goods from China, which manufactures more defective or deadly products than any other nation. At the Law Office of Jeffery A. Hanna, we have the financial, medical and legal resources to battle the large corporations who are manufacturing dangerous products, as well as the insurance companies and attorneys who protect these big corporations. Hanna is a dedicated defective product lawyer who understands how to fight back against dangerously manufactured products. As consumers, we have the right to expect a product we bring into our home is free from dangerous or deadly defects. When a company profits from a dangerous or defective product, it can and should be held responsible, both to compensate an injured consumer, and to help ensure corrective action is taken. Sadly, the number of high-profile defective products cases is staggering -- from Toyota to cough syrup and peanut butter, from toys marketed to children to medical devices and pharmaceuticals marketed as life-saving products that come with a laundry list of side effects. As a defective product lawyer, Jeffery A. Hanna is here to help. Battling the national and international corporations that manufacture and market dangerous or defective products requires high-powered, aggressive legal representation. At the Law Office of Jeffery A. Hanna, we work with some of the nation's leading legal and medical experts to build a case capable of winning the compensation you deserve. A defective product lawyer from our office can help you with your case. If you or a loved one has been seriously injured or killed by a dangerous or defective product, don't hesitate to seek the advice of an experienced defective product attorney at our office right away. We need to gather evidence as soon as possible after the accident, including photographs, measurements and other documentation, as well as the product itself, which will be essential throughout the legal proceedings. Call the Law Office of Jeffery A. Hanna today for a free and confidential appointment with a defective product lawyer to discuss your rights.